No Fees. No Commissions. Close On the Day of Your Choice and Put More Cash In Your Pocket. Sell your Lake Mary home this week! At Zenn Homebuyers, we buy houses directly from you, regardless of the home’s condition or your reason for selling. We have a full crew of professional real estate buyers and renovation experts ready to buy when you want to sell your home in Lake Mary. With our unique process, you don’t have to sit around and wait for bank approval. We make you a fair cash offer, and you can pick up your check within only a few short days. We have the funds and the desire to buy more houses in the Orlando area, so please get in touch with us right away if you are interested in learning more. How To Sell My House Fast In Lake Mary, FL. We buy homes with cash. It’s faster that way. If any of these “sell my house in Lake Mary” scenarios sound familiar, you’ve come to the right place. We are passionate about helping homeowners get out of these stressful situations and move on with their lives. With us, you can finally get some peace of mind, knowing you’ll be free from these struggles and can have cash in hand quickly. We know that life is hard sometimes, but you can count on us to take the time to truly listen to you and understand your unique housing circumstances. No matter what those look like, we can provide a solution! If you need to sell your house in Lake Mary, come to Zenn Homebuyers. We will make a fair cash offer for your property, and allow you to choose a closing date that works in your schedule. You can walk away with a check in a few days, and be free to pursue the next chapter in your life. Need help selling your Lake Mary home as-is? The traditional home-selling route doesn’t always work, and we offer a unique, hassle-free solution. Traditional real estate brokers sometimes cannot sell a home and have trouble finding the right buyer. This process can stretch on for months, leaving you waiting and heaping more stress on your plate. Some real estate agents aren’t proactive about selling a property, or require you to sign lengthy contracts, ensuring their services for a long period of time. But there are no guarantees with this method! You could be stuck waiting around for 6, 9, 12 months, with nothing to show for it. Zenn Homebuyers skips this whole process and buys homes with cash! With us, you don’t have to wait around to sell your house in Lake Mary. You can have a check within a few days. We create fair, honest, cash offers on homes in the Lake Mary and greater Orlando area. Our team of professional home buyers will accurately assess your property and make you a reasonable offer within 24 hours. Most of the time, we close in about a week – something no real estate broker can boast! We stand by our process, because we know it makes sense for homeowners who don’t have the time, patience, or inclination to wait around for traditional methods. Zenn Homebuyers prides itself on giving fair, no-obligation home buying offers that don’t include commissions, waiting, hassles, or closing costs! When you reach out to us, either through the online form, or by phone, you can enjoy a prompt response. We’ll work quickly and efficiently, creating a cash offer to buy your Lake Mary home as-is within 24 hours, giving you the power to make a decision without delay. No banks are involved in our home buying process, which makes for a faster, easier, and more transparent process for everyone. Our cash-only program is the fastest in the market, so you can get your check and move forward with life! One way we can guarantee such a quick turnaround is that we do not expect homeowners to make any repairs or renovations to their property before selling. We take care of all of that! Our team of highly-qualified contractors and craftsman will clean, fix, and remodel your home after closing, taking this extra layer of stress off your plate. You won’t find that with a traditional real estate agent. Also, we don’t mind if you’re living in your home currently, you’re renting it to tenants, or it’s vacant. We will still work with you! We pride ourselves on maximum flexibility and convenience for all our clients. When you are stressed about selling your home in Lake Mary, come to Zenn Homebuyers. We’re committed to making the process as easy as possible, with a fair cash offer and all the resources you need to close fast. Reach out to us online about selling your home in Lake Mary, or give us a call at 407-910-2385. Life can be difficult sometimes. And we understand that. If you are behind on your house payments, facing expensive home repairs that you can’t afford, or are headed for foreclosure, we can help. When your home has become a source of suffering, we can offer quick solutions to get you out! Allow us to make a fair, written cash offer on your Lake Mary home as-is today. No need to worry about its condition or whether it’s currently occupied – we’ll take care of all the details. You will walk away with a check at closing and our crews will handle all of the repairs. When your home has become more of a burden than it’s worth, don’t spend months waiting for a real estate broker to sell it. Come to Zenn Homebuyers instead. Give us a call, so we can learn more about your property and make an offer! We are looking to buy homes in Lake Mary, Fl right now. 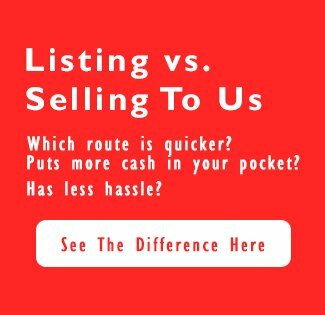 If you want to sell your home quickly, and get a cash offer, we’re here for you. Connect with us online or by phone for your free, no-hassle, no-obligation offer. You don’t have anything to lose.